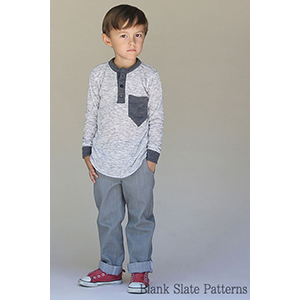 The Hipster Henley is an intermediate pattern for your little hipster that features a button placket, curved hem, cuffed sleeves, and long and short sleeve options. Size 18m-8 years. 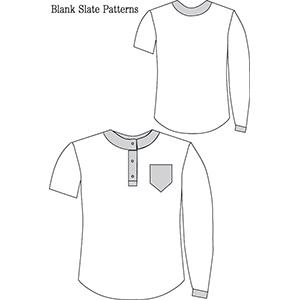 12 pages of sewing instructions including color photographs. 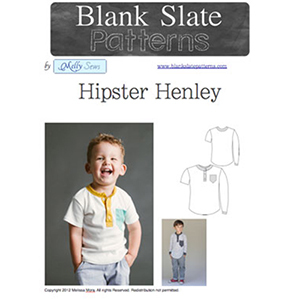 19 pages of pattern pieces that are taped together to form the full-size pattern (8 pags for sizes 18m-4T, 11 pags for sizes 5-8). 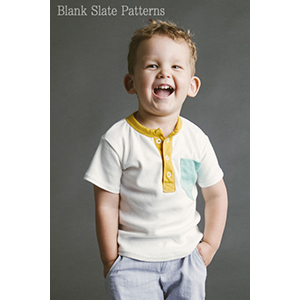 Suggested fabrics are mid weight jersey knits and ribbing for contrast fabric.